An easy way to add context to any architectural visualization is with the use of human scales in your images. You can add a 3D model of a person or choose something simpler like a cutout texture. How big is your cutout texture library? Today you will have the opportunity to grow that collection with some additional textures. The guys from Vishopper are offering an unusual type of texture pack as a free download. When you start looking for a cutout texture pack you will most likely try to find casual people, business persons or shoppers. 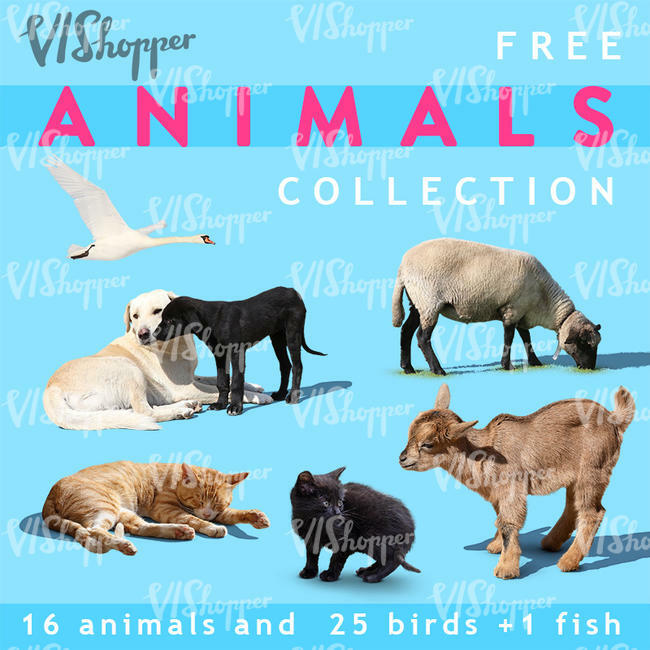 Have you ever tried to find a free cutout pack with pets and other animals? For instance, a cat texture to place in a residential image. That might seem silly, but for your potential customer, it may be a key point to sell your project. Just think about how much time and effort some people invest in their pets, and having their future home with a space dedicated to this particular family member is a huge plus. If you don’t have anything like that in your texture collection, I strongly recommend the download.